I'm an enthusiastic Classical Pianist and Keyboard player with 10+ years of performing experience. I have recently graduated from Leeds College of Music where I specialised in Classical Piano Performance and I am excited to pass on all I have learned to students of any age and level of play. Whether you are looking to learn the latest Pop songs from the charts or classics from Mozart and Beethoven, I am here to show you how to do it and guide you through the process. Other than being a Pianist I am also a composer and producer, making a name for myself as a professional film and media composer in Leeds. Having worked in collaboration with film and animation students from Leeds University, Leeds Beckett University and Leeds College of Art I have developed a portfolio of a wide range of styles. If you have an interest in not only playing the piano but also learning how to write your own music I am more than happy to help and bring out the creativity we are all born with. I have been teaching in schools and privately for the past 12 months. My aim as a teacher is to take my student's interest in music and turn it into a passion. I firmly believe that music is an important part of everyone's life and being able to create music yourself is a great thing. My approach to teaching is to encourage my students to bring music they want to learn to me and I will take them through all the steps required to reach that level, regardless of their playing experience or age. 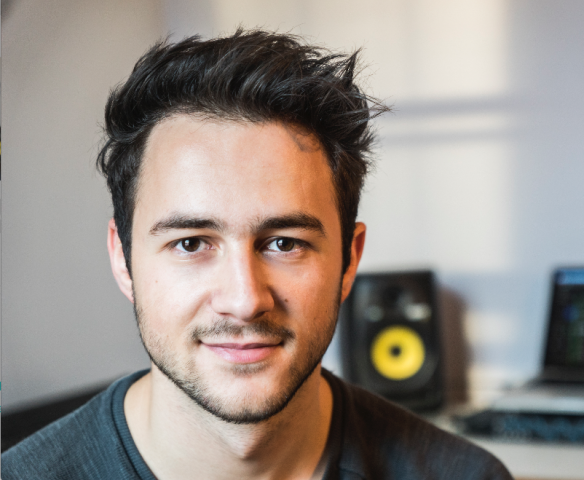 MarkusFrom Tom (5/5): I've been having lessons with Markus for a month and am thoroughly enjoying them. He's very knowledgeable and, for the first time in years, I feel confident playing and making music! MarkusFrom Maha (5/5): Great first session with Markus! Very patient and excellent delivery of information. Really looking forward to my next lesson! MarkusFrom Yizhen (5/5): My tutor Markus is a very patient and passionate pianist with great professional skills. Reply from: Markus: Thank you Yi, I'm glad you're enjoying the lessons.